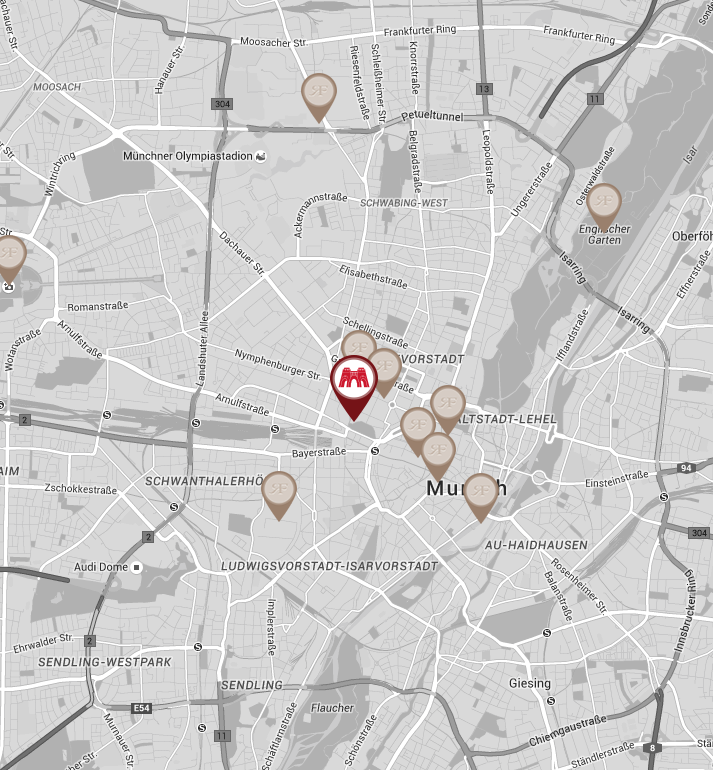 There are quite a number of luxury hotels in Munich, which befits the character of the city. While Munich sits in the fringes of the Bavarian Alps, it also has a sophisticated side as it is also home to the headquarters of BMW and the world-renowned football team FC Bayern Munich. 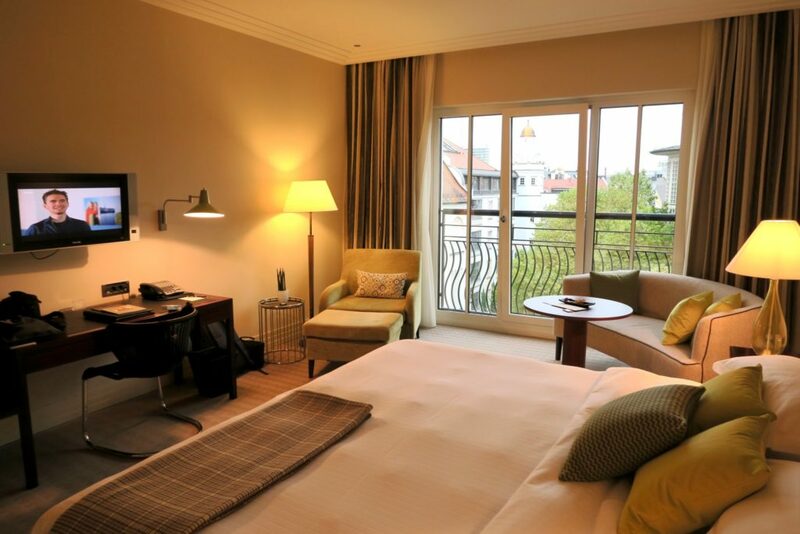 Basing yourself in a hotel that is both comfortable and convenient is a must in Munich as your days are sure bound to be filled with day trips, or roaming around the city. 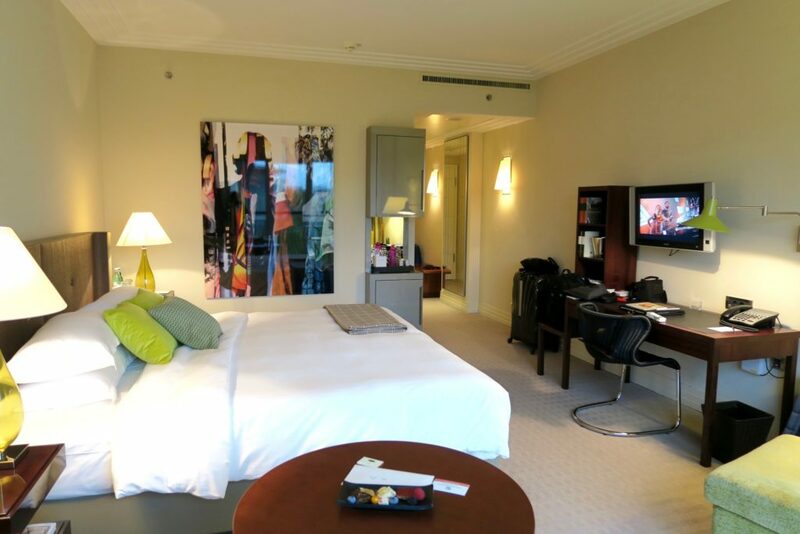 The location of Charles Hotel ensures you are in the midst of shopping and history. It is close to Königsplatz, aka the King’s Square that is built in the European Neo-Classicism in the 19th century. 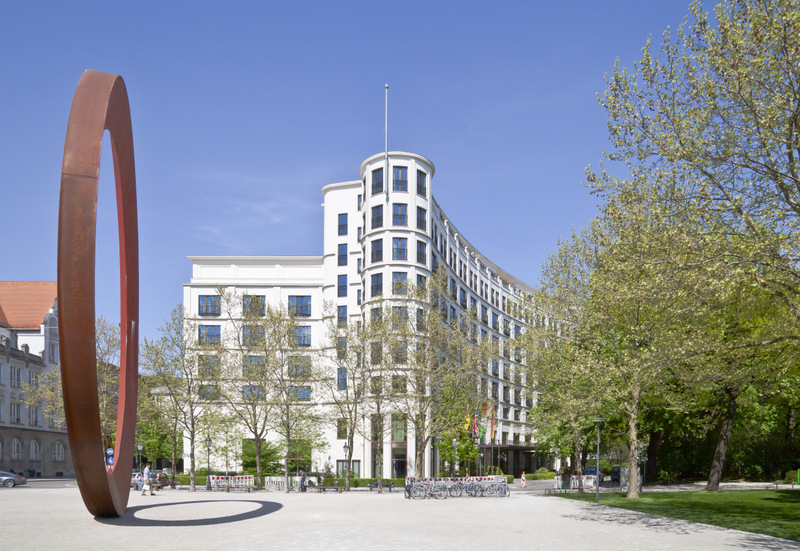 And at the same time, it is also a short stroll away from Maximilianstrasse, the kilometre-long stretch of luxury shops. As soon as we stepped off the cab, our bags were immediately whisked away. Warm smiles and greetings met us all the way from door staff to check-in, which was extremely impressive. Check-in was done at the desk, and what I immediately noticed was an area specifically for kids to check-in. It’s also located in the same check-in desk , but there was a mini ladder for the little guests to reach the desk and properly fill out a form. I thought it was adorable, and absolutely a great way for kids to be involved (and perhaps get more interested) in travel. We checked in to a Deluxe Room, which overlooks the Old Botanical Garden (towards Munich’s city centre). It has a working desk, a bookshelf (complete with books) and a sofa with table. I like the neutral colours and layout of furnitures, the room definitely felt larger and more roomy than its size of 40 square metres. 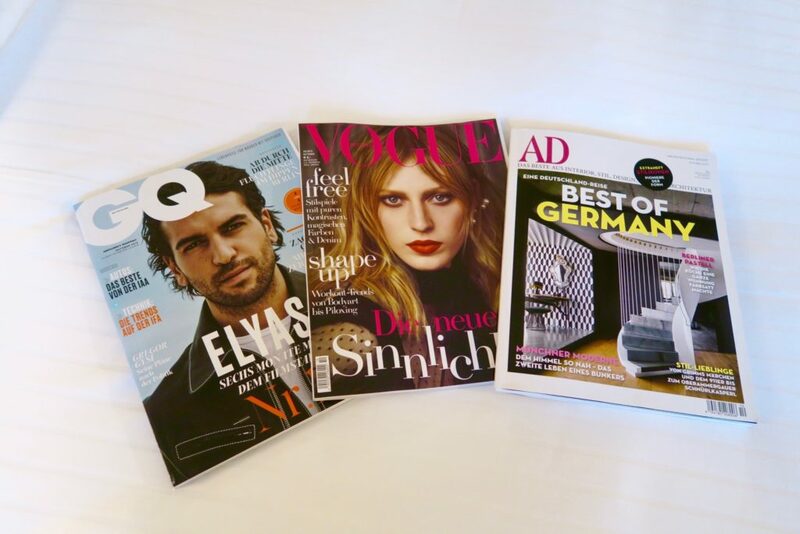 Apart from the books, they also have a chic selection of magazines in German. 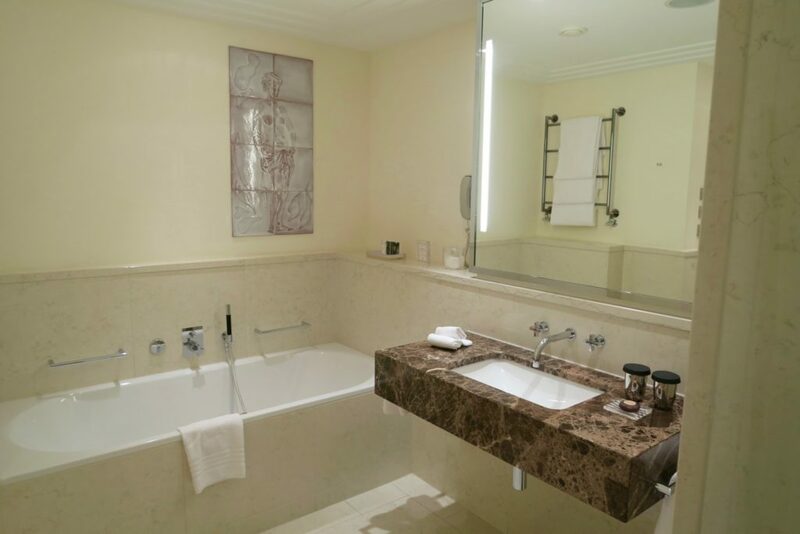 The bathroom has heated floors, tub, a separate shower area and single sink plus toilet area. Amenities and toiletry are a mix of New York toiletry brand Malin + Goetz and The Charles Hotel’s own. The hotel has a very compact spa area with 5 treatment rooms, and also includes a finnish sauna. 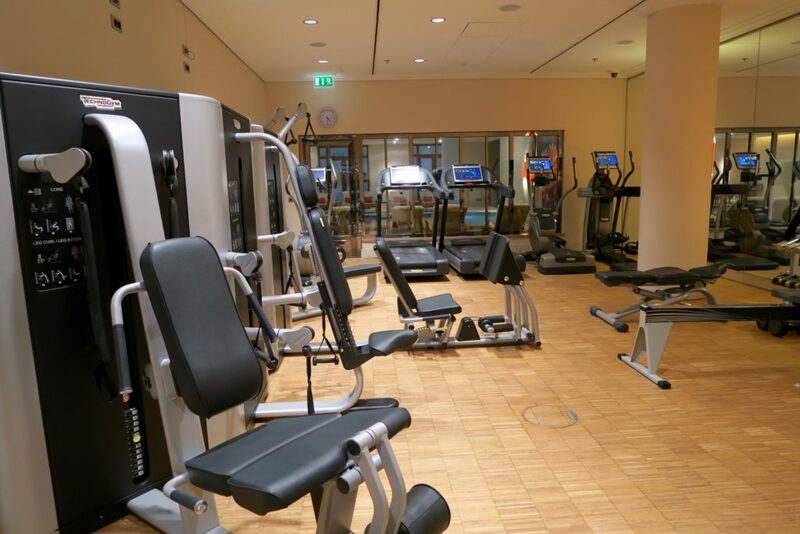 They also have a gym with extremely brand new-looking equipment. 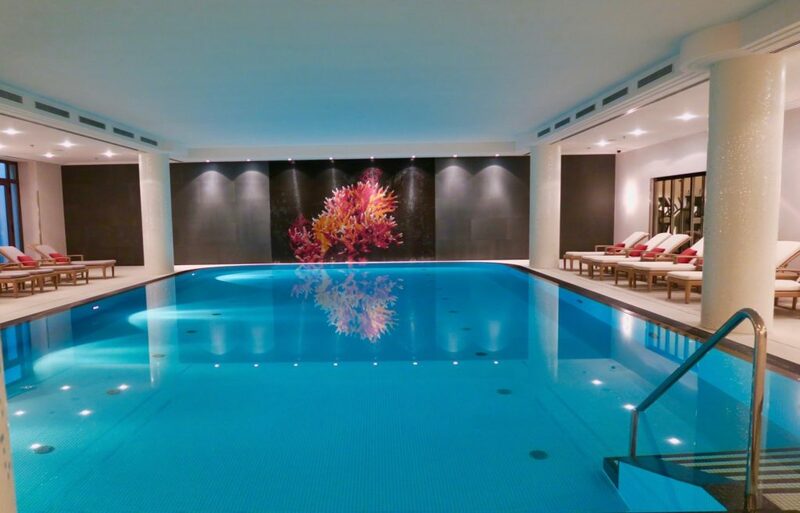 But the highlight of the Charles Hotel’s spa has got to be their indoor pool. The pool, measuring 15 X 8 metres, is the longest indoor pool in Munich. I didn’t get the chance to have a dip but I did manage to very briefly relax in one of the lounge chairs. No one was using the pool, and the serenity was very much appreciated. 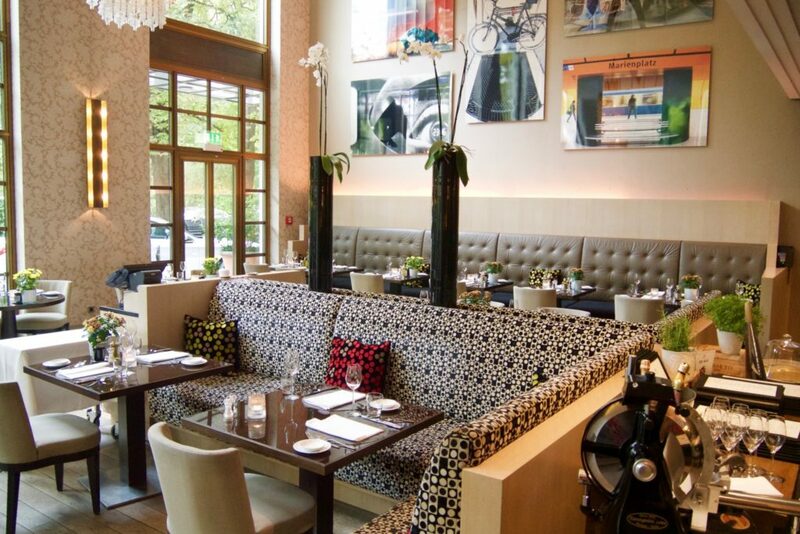 The Charles Hotel is home to DAVVERO Restaurant, serving Mediterranean cuisine. Breakfast is also served here. I loved their breakfast buffet, they had a great selection of oats, fruits and bread, among savoury and hot food. And though I had early breakfasts during my stay at The Charles Hotel, I am loving the fact that they have a “Late Riser Breakfast” available until 2PM. Though it comes for an extra EUR 36 per person, it’s a handy and useful feature to have. I know for sure, that if I had a spare day and didn’t have to be up early, I would have availed of the late riser breakfast and happily paid the fee! 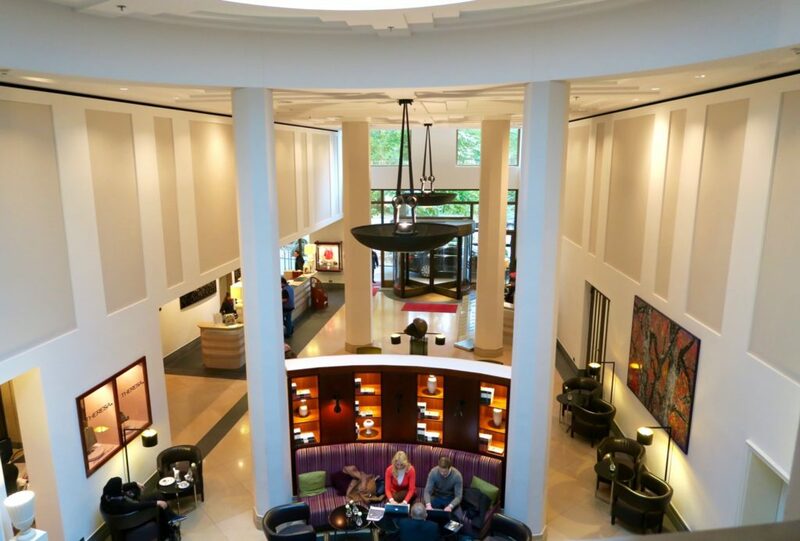 I loved the consistency of excellent customer service we received throughout our stay at The Charles Hotel. 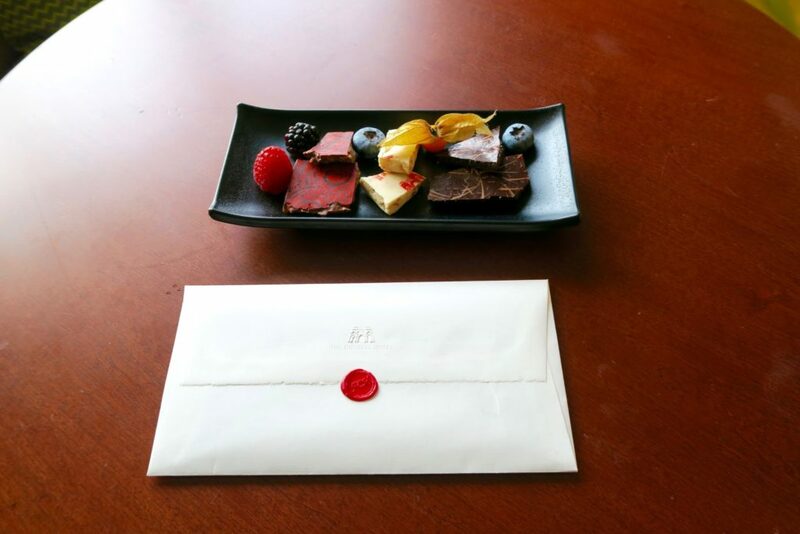 As I mentioned earlier, our arrival was met with hearty greetings and warm smiles, both from door and check-in staff. On one of my evenings at the hotel, I was to meet a friend in a nearby restaurant / hip burger place (Hans Im Gluck), and I asked one of the doormen how that place was. I was expecting the usual “great!” or “yeah it’s wonderful!” reply. I only had fries / chips in the place but he couldn’t be more right with the description. It was a very hipster burger place, whose interiors was a cross between a bourbon bar and cabin in the woods. 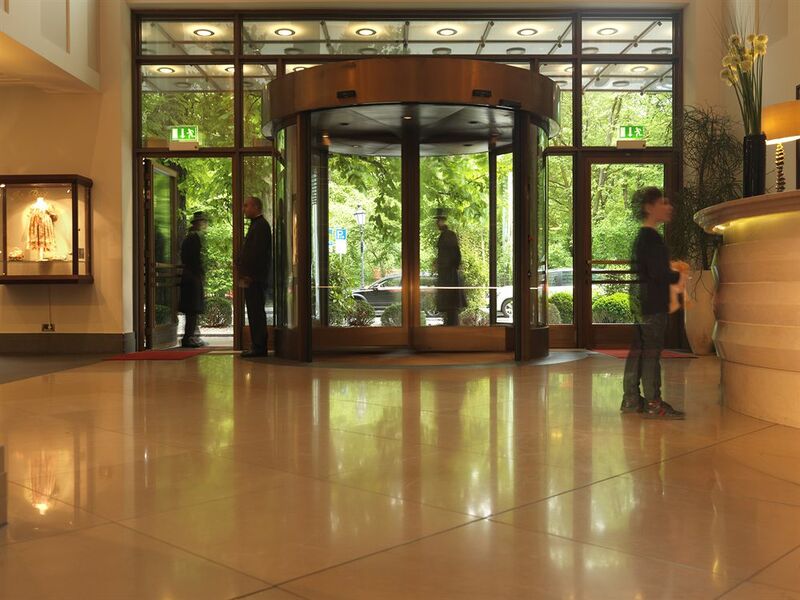 One of the newer hotels in Munich, (opened 2007), The Charles Hotel is definitely one of the landmarks of luxury accommodation in Munich. 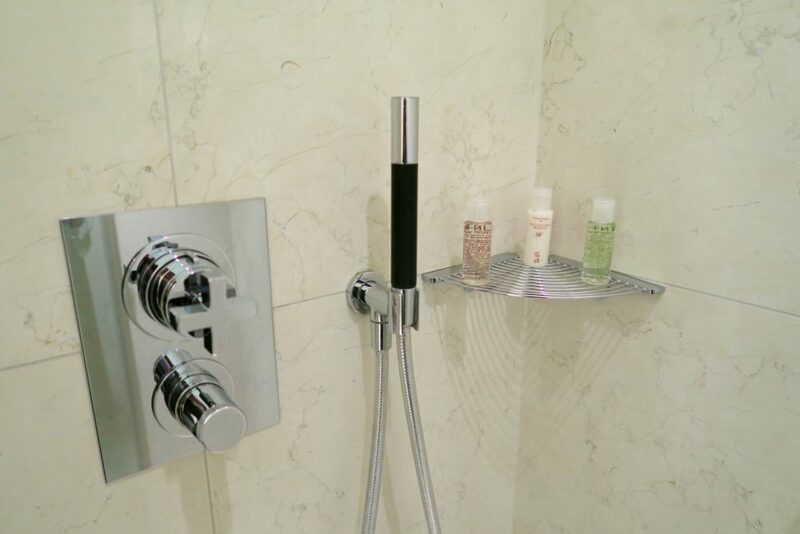 The consistent service alone is impressive, and accompanied with the clean (albeit rather safe) design of the hotel and convenient location, The Charles Hotel is one of those places that won’t have a hard time converting first timers into repeat guests. We stayed as guests of The Charles Hotel Munich. There's absolutely no obligation or expectation of a favourable review, all thoughts and opinions are solely mine. I love the honest tip from the doorman! And that pool is impressive. Not that I use the pools much but good to know! OOoh it looks very bright and modern! The pool is no way the. Biggest. The Olympic pool is more than 3x the length.